I do not own My Little Pony: Friendship is Magic, or Equestria Girls. These people sure has used this vectors ever since after it was released in theaters. Yeah, without tooting any horns, I believe my Sunset Shimmer vector was the 'first' accurate one in terms of hair and colors, to an extent. Granted, she has the wrong eye shape, and is missing a curl in her mane, but yes, it's became very popular. I'm not sure what you're asking just by asking about manes, but I don't do requests. Sunset Shimmer is very cool. May I use this vector? I promise I'll give credit. Does not help her and Twi are practically the same. is there a .svg file for this? This is an older deviation, so it doesn't have the quote my recent work does, but I don't approve of any recolorings of my vectors, especially if someone's OC is a blatant pallet swap recolor. Hey! May I use this as my profile pic? As long as you credit/link me somewhere in crediting where you got your image for, sure. I agree that her character design is quite cool. Do you mind if i use this as a representative image for a bio? In the story I'm working on, the Sunset of my primary universe, labelled as Equida-1117 (the same way Marvel and DC name their worlds, i.e. Earth-616), is fgood and a long-time friend of Twilight. Sunset is attacked and kidnapped by the main villainess, who takes a liking to her appearance and copies Sunset's form. She won't die though, only get locked up at the evil lair. As long as credit is given for the art piece and perhaps a link back it is okay. *Twilight has a scar running horizontally across her throat, just above her collarbone. Chrysalis inflicted the wound when Twilight got between her and the wounded Celestia, willing to give her life to protect her mentor. Laughing at the young Unicorn’s foolish bravery, the Changeling Queen slashed Twilight across the throat and swatted her aside. This proved to be the last thing Chrysalis ever did, as Pyrelight reduced her to a pile of hot ash less than a minute later. This grievous injury, while long-since healed, still pains Twi from time to time. 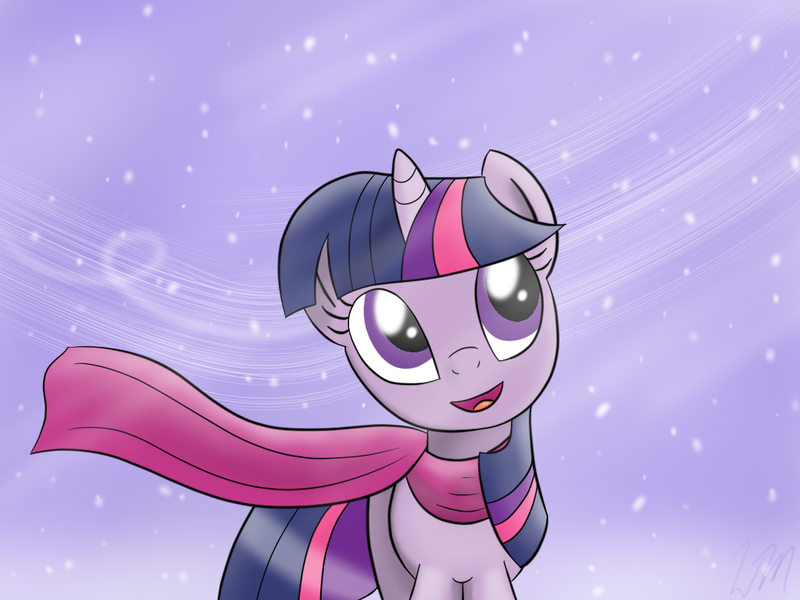 Twi often hides her scar behind a scarf or neckerchief, to avoid questions or stares. Talents and abilities: Special talent is having very strong magical ability, enough to grant her the very rare ability to teleport. Twilight is highly skilled at organizing and planning, which are excellent leadership qualities. Being an avid reader, her knowledge of the ways of the world are extensive and varied, though social skills are a slight weak point. If there is something Twi does not know, it will not be long before she has studied up and committed the new knowledge to memory. Personality and traits: The Twilight of E-1117 was more social early on than her counterpart, willing (with some persuading) to put away her books to spend time with friends or her family. Due to this, she has a stronger and less distant relationship with her parents. After seven years in the often crazy Ponyville, few things can surprise Twilight. She is possessed of a stoic courage, willing to face down any danger to protect her friends, family, and Equestria. However, of late she worries that her friends are drifting farther and farther apart, especially A.J. and Dash. Twi knows that the Elements of Harmony will be rendered powerless if the friendship between the Element Bearers is lost. A natural leader, Twilight is a kind and compassionate mare, using her vast knowledge to solve problems and fight the forces of evil. Unlike her counterpart she is not as reliant on books, being more hooves-on and willing to go out and travel to do field work. While she is generally calm and collected, Twilight does possess a volatile temper when her patience is tested, or when she and/or her friends and family are threatened. 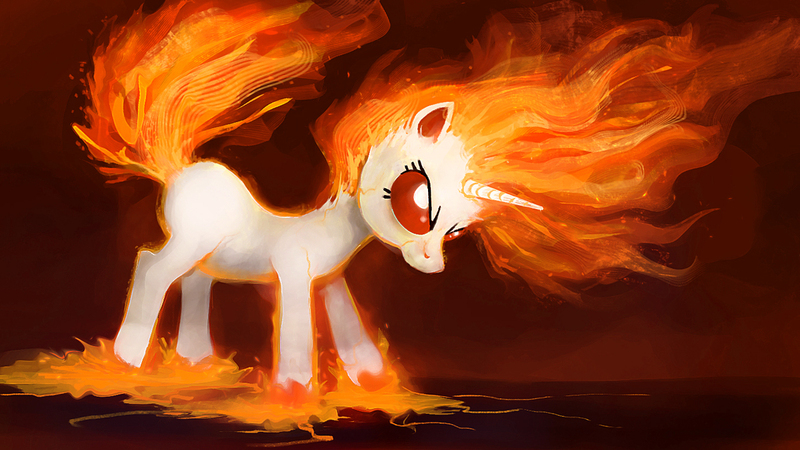 Upon truly losing her cool she will literally burst into flames, losing her cutie mark, gaining a cream-colored coat, luminous red eyes and a flaming mane, as well as considerably amplified magic and a rage which can barely be contained. This power has the consequence of rapidly draining Twilight’s energy and singeing her coat, and carries the even more dangerous threat of overwhelming and burning the poor unicorn alive if she were to remain alight for too long. Twilight is haunted by the memory of having killed Queen Chrysalis and hundreds of Changelings while in her Pyrelight state. She is terrified of becoming Pyrelight again, and what might happen if her rage is directed upon someone she cares about. This is currently her greatest fear, surpassing even her fear of failing Celestia. Twilight has even become slightly pyrophobic. When she learned that she was pregnant, Twilight was nervous but overjoyed that she was going to become a mother. She asked for advice from her own parents as well as Cadence, learning all she could without relying too much on books, a trait she picked up from Comet, who preferred practical knowledge and experience over relying on the written word. When their son was born, Twilight and Comet chose to name him Leo after the constellation, befitting their shared love of astronomy and the night sky. Both loved their foal dearly and vowed to raise Leo to the best of their abilities. 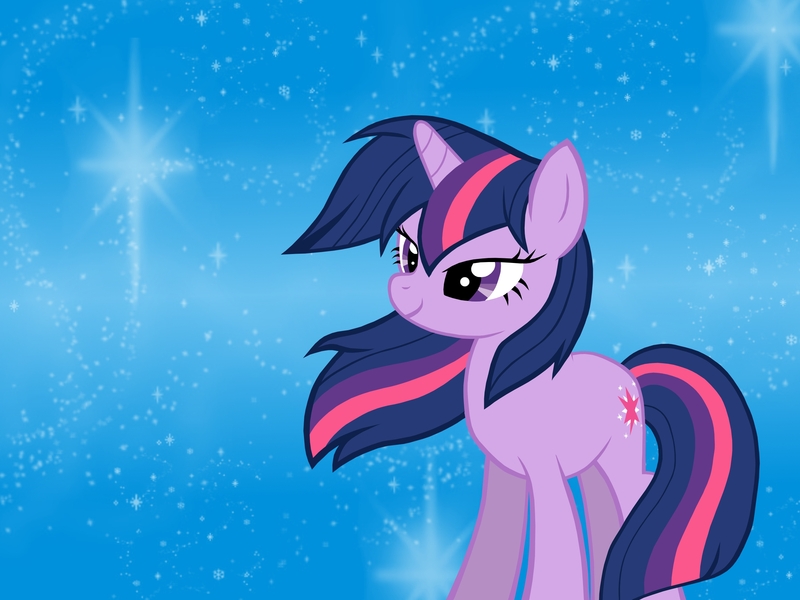 Background: Mostly the same as her prime universe counterpart, though Twilight never became an Alicorn. I approve of the usage of the image; you didn't need to plug in all the info. Got it. Sorry about that. I went to go look and saw it was taken down. 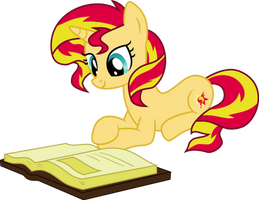 I wonder how Sunset Shimmer got her Cutie Mark? Submitted ^_____^ Thank you for allowing my vector! where did you find the resource and how did you know it's from a trailer. In this trailer it plainly shows Sunset Shimmer as a pony. I used her hair and tail and put them onto the body of another Unicorn I vectored. You must have good eyes. First SunsetShimmer is a name of a villain and the color scheme she has you have. Then you turn a villain from a movie into a pony. Can I make A Base Out Of This? [link] Sorry, Forgot To Link Back.